Why Choose Audiology for Your Patients? The profession of Audiology is dedicated to improving the quality of life for individuals with hearing loss. More than 30 million people have hearing loss. However, only 30 percent seek help. Most importantly, of those, 20 percent of them are referred by their physicians. Our goal at Tustin Hearing Center is to improve awareness and relationships in the medical community through being a resource for “hearing healthcare”. Referring your patients to us provides an extension of your medical care. We are doctors of audiology with advanced clinical degrees and training that crosses many disciplines. Our specialty is hearing loss. 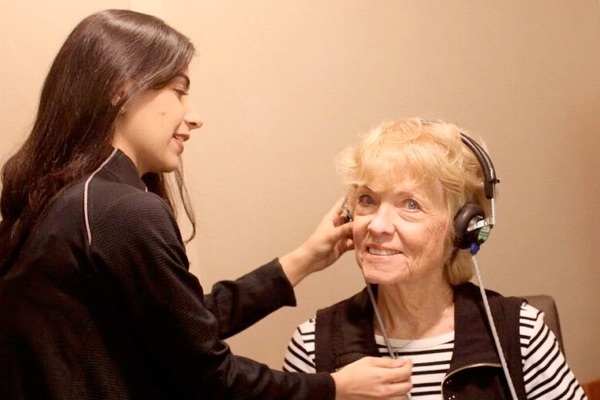 Audiologists possess comprehensive knowledge of the human auditory and vestibular systems, and they have extensive training in sound reproduction, which is critical to the accurate tting and adjustment of hearing aids. When we receive a referral from your office, we take the time to understand what the physician wants and what the patient needs. We spend time with the patient, to understand their hearing difficulty, their concerns and their hopes for improving their hearing loss. Most patients don’t want hearing aids but they also don’t want to miss conversation, family gatherings, grandchildren and important discussions. They want to be “with it” and feel “with it”. Hearing loss is often invisible. Most patients are not going to show signs of hearing loss in the quiet exam room. They experience difficulty when they are in restaurants, theaters, groups, lectures, church, and when watching television.